Uses either a rubber upper mount or pillowball rubber upper mounts. 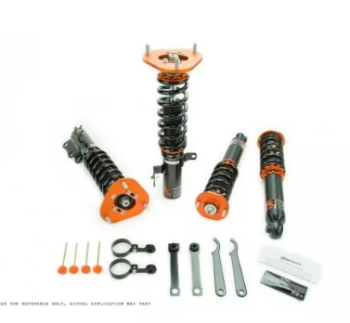 McPherson-Style suspension applications come with camber plates. Use SAE9254 materials for spring to avoid deformity and 6061 aluminum to avoid rusting when it rains or snows. 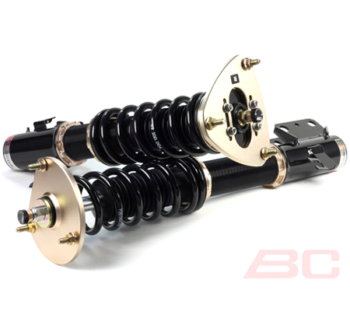 The perfect coilover for your daily driver or moderate track vehicle. Maintains factory comfort level. The ride height can be dropped 60mm~100mm from OE ride height. Certain applications are more. Custom spring rates (3.5, 5, 7, 9, 11, 13, 15, 18, and 22 kg/mm) available at an additional charge. The pillowball rubber top mount is the best product as it is the same as OE top mount and able to eliminate the shock noise made by the pillowall top mount. 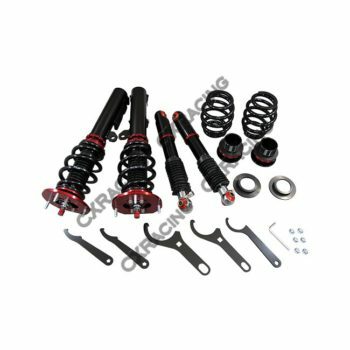 Purchase your 2005-2010 Chevrolet Cobalt (INCL SS) D2 Racing RS Series Coilover – (D-CH-01-RS) from D2RacingCoilovers.com today! Feel free to contact us with any questions!